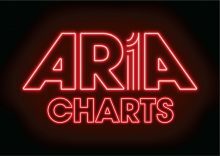 PSY is spending a third week at No.1 on the ARIA Singles Chart with his smash song “Gangnam Style”, and with him in the country this coming week (starting with an X-Factor appearance on Monday night), he will most likely be at the top again next week. Gavin Ryan reports that Guy Sebastian and Lupe Fiasco climb back up one place to No.2 with their former No.1 single “Battle Scars”, and also back up is Birdy with “Skinny Love”, rising up two places to No.3 helped by her X-Factor performance and current tour, whilst holding at their No.4 peak for a second week are The Script with “Hall of Fame”. P!nk scores the first of two new peaks within the Top 10 as her latest single “Try” is up three places to No.6, helped no doubt by the release of the video clip this past week plus her July 2013 national tour announcement. At No.7 and No.8 are the two Top 10 debuts from last week, with One Direction dropping from their entry of No.2 to No.7 this week, whilst Rihanna’s “Diamonds” holds at No.8 for a second week. “I Cry” for Flo Rida drops three spots to No.9, but climbing into the Top 10, up one place from last weeks No.11 debut is Ke$ha with “Die Young”, now her eighth Top 10 hit from ten chart entries (eight solo and two as featured singer). NEW PEAKS & MOVERS: Channel 9 are using “Bom Bom” for Sam & The Womp in their ads for the reality series ‘My Big Fat Gypsy Wedding’, which helps the track to climb five places to No.12 this week, whilst the last single from Swedish House Mafia entitled “Don’t You Worry Child” leaps up twelve places to No.13. Also jumping into the Top 20 is Pitbull with “Don’t Stop the Party”, up eight spots to No.15 and returning to the Top 50 and up a massive fifty places to No.19 are The Janoskians and “Set This World on Fire”. “Little Talks” (HP-32) from Of Monsters and Men rises back up ten places to No.34 and the final new peaking track within the Top 50 is Swedish duo Icona Pop with “I Love it”, up seven places to No.41. DOWN DOWN: The two Top 10 dropouts this week are “We Are Never Ever Getting Back Together” (HP-3) for Taylor Swift after seven weeks inside the Top 10 now down to No.11, and after two weeks at No.10, Rita Ora’s “R.I.P.” is down four places to No.14. Justice Crew tumbles eight places to No.21 with “Boom Boom”, and “Good Time” for Owl City falls ten places to No.22. “Some Nights” for fun is down nine spots to No.27, but after almost hitting the Top 20, “Primadonna” (HP-21) for Marina & The Diamonds falls ten places to No.39 this week. James Morrison again tumbles down with “I Won’t Let You Go” (HP-13), this week falling nineteen places to No.47, and after debuting at No.33 last week Labrinth’s new track “Treatment” is down eighteen places to No.51. Another of last weeks new entries, “Begin Again” for Taylor Swift plummets forty-two spots to No.64, whilst last weeks re-entries for The Temper Trap both tumble down this week, with “Trembling Hands” falling thirty-one spots to No.69 and “Sweet Disposition” returned at No.50 and leaves the Top 100 this week. X-Factor Live (4): The two guest acts on this weeks show both benefit from their live performances, with “Skinny Love” for Birdy back up to No.3, and “Earthquake” (HP-4) by Labrinth returning to the Top 100 at No.67.Both Bella Ferraro and The Collective leave the Top 100 with their two entries, neither debut with their version of their performances, the only X-Factor contestant to debut this week is Nathanial Willemse whose version of “The Scientist” debuts at No.75, whilst the original by Coldplay (HP-40) is back in at No.61. Bruno Mars debuts at No.20 with “Locked Out of Heaven”, the first new material from his forthcoming second album “Unorthodox Jukebox” which is due in December, with this new track having debuted within the Top 40 in Canada, USA, Ireland, and Spain (so far). This is Bruno’s twelfth ARIA Singles chart entry, and his first album “Doo-Wops & Hooligans” (HP-2) returns at No.91 on the ARIA Albums chart, now in it’s 103rd week upon the charts. This weeks Taylor Swift entry from her forthcoming “Red” album is entitled “I Know You Were Trouble” which debuts at No.24. The next two debuts within the Top 50 are both from local acts, with Reece Mastin debuting at No.31 with “Rock Star”, his fourth chart entry and his first NOT to debut within the Top 10. At No.32 is the return of Birds of Tokyo who enter with the “This Fire” EP, their first new material in two years, having last hit the ARIA Charts with the No.50 song “Wild at Heart” (Feb 2011). Lower 50: The Rubens climb back up one place to a new peak of No.58 with “My Gun”, the only track in the lower fifty to climb to a new height, whilst returning tracks include the aforementioned “The Scientist” for Coldplay at No.61 and “Earthquake” for Labrinth at No.67, whilst Tyga is back in at No.93 with “Rack City” (HP-56). Kid Cudi and King Chip debut at No.53 with “Just What I Am”, whilst right behind at No.54 is Ellie Goulding with “Anything Could Happen”. The third Top 60 debut is at No.57, “Wild Things” from local act San Cisco. “Latch” by Disclosure debuts at No.62, followed at No.70 by The Aston Shuffle with their new single “Can’t Stop Now”. From the film “Madagascar 3” comes the track “Afro Circus/I Like to Move it” by Chris Rock and Danny Jacobs. Chris does the “Afro Circus” (as Marty the Zebra) part and Danny Jacobs does the “I Like to Move it” (HP-6, May 1994 for Reel 2 Real) as King Julien, the leader of the ring-tailed Lemur’s. UK pop singer Conor Maynard debuts at No.79 with “Turn Around” featuring Ne-Yo as guest vocalist, whilst Qwote has teamed up with Pitbull again for “Letting Go (Cry Just a Little), which debuts at No.83. This track features a similar sample to Flo Rida’s “I Cry” (TW-9) taken from the Bingo Players song “Cry (Just a little)”. Final new entry is at No.91, “Lost” for Frank Ocean, his first ARIA Singles Chart entry.